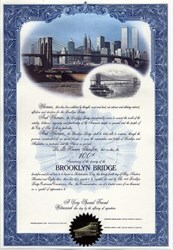 Beautiful unissued certificate from the Brooklyn Bridge 100th Anniversary dated in 1983. 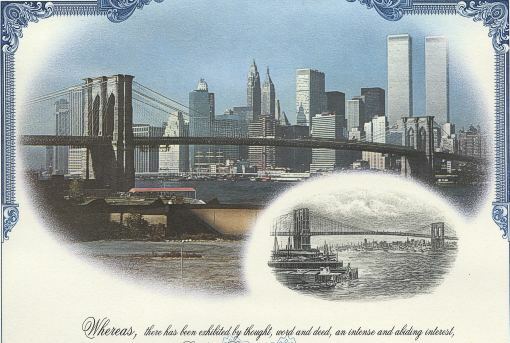 This historic document was printed by has an ornate border around it with a vignette of the Brooklyn Bridge and the City of New York with the World Trade Center Buildings in the background. This item is over 36 years old. Edward Koch's name is on the certificate as mayor.